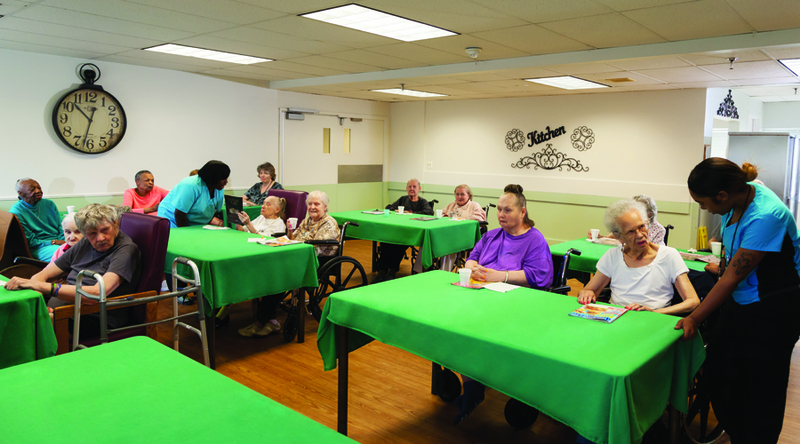 Autumn Woods Health Care Facility offers 24-hour skilled nursing care which is covered by Medicare and Medicaid. This means it is a licensed health care facility, and regulated by the Michigan Department of Health. From 24-hour skilled nursing care, to our state-of-the-art rehabilitative programs, we’re focused on being your First and Best choice. Transitions into a nursing home are easier when you are knowledgeable about the options that exist. While each individual’s situation is unique, it’s wise to conduct research and tour nursing facilities before the need arises or before a crisis occurs. You will gain the benefit of time by proactively conducting research so that you are prepared and can make a decision with peace of mind. Can my loved one accomplish daily tasks such as cooking, bathing and self-medicating? Is my loved one requiring more care and services than I can provide? Has there been an acute injury or illness that my loved one will not fully recover from? Is my loved one showing signs of memory loss? Is my loved one in danger by living alone? Does my loved one require 24-hour care? It is wise to visit a number of nursing homes in order to make a well-informed and educated decision. While touring a facility, pay close attention to how you are greeted by staff, staff interaction with residents and peers, and if children are welcome in the facility. Observe for cleanliness of indoor area as well as odors. Note the outdoor surroundings as well as areas for socialization and resident comfort. Tour at different times of the day and speak with the facility’s admissions coordinator. This individual will be able to provide you with information regarding bed availability, levels of service, specialized programs and answers to questions about private payment, Medicare or Medicaid. Be sure to verify if a facility is Medicare/Medicaid approved. Some facilities require you to leave once your funds have been depleted. Finally, utilize subjective feelings to determine whether a facility is right for your loved one. The atmosphere throughout the building should be one of happiness, respect, dignity and above all else, quality of care.